Many motorists believe they are making safe driving choices when they opt to install and use voice-activated systems in their vehicles. These systems allow drivers to perform many tasks usually reserved to hand-held devices, such as control volume on a stereo, dial a phone number, call an existing contact and tune a radio, all using simple vocal commands. The addition of such systems is becoming increasingly popular and more affordable each year, increasing the likelihood that motorists will opt for the convenience they offer. However, prior to recent years, little was known about how the systems can affect motorists. A Chicago car accident lawyer understands that distraction can come in many forms. New studies indicate that, despite the hype that these types of hands-free systems are the greatest technological solution to preventing distracted driving, they may actually cause greater distraction among motorists. The American Automobile Association’s Foundation for Traffic Safety reports in two separate studies on the distracting effects of in-vehicle voice-based interactive technologies. Using several experiments, instrumented test vehicles and heart rate monitors, scientists evaluated driver reaction times under various conditions, including navigating menus and composing messages. They also evaluated specific systems for their distraction level. They found that the systems that are most distracting are unreliable and inaccurate, which in turn causes motorists to become frustrated and stop focusing on the task of driving. Only one of the systems received a passing score. The study comes at a time when distracted driving is more common than ever. 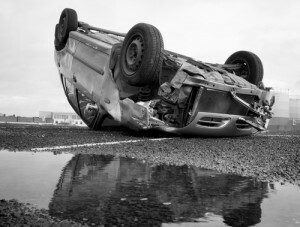 A Chicago car accident lawyer often sees the disturbing life-long injuries and deaths that result when drivers do not focus on the task of driving. A St. Charles, Illinois man recently killed an elderly woman when he became distracted by his phone while driving. The Chicago Tribune reports that as he was engrossed in his phone, his sedan drifted across the center line on Route 31 and he crashed into the 65-year-old’s car head-on. She died shortly after the crash. These types of accidents are not just obscure, uncommon events. According to the Centers for Disease Control and Prevention, nine people die and another 1,153 are injured in the U.S. every day due to the negligence of distracted drivers. Unfortunately, these numbers have seen increases year after year with no signs of stopping. Those who have been injured or lost a loved one due to the negligent actions of a distracted driver are encouraged to contact a Chicago car accident lawyer as soon as possible. Affected parties may be able to recover damages for their losses, which could ultimately help them move forward after a devastating crash.